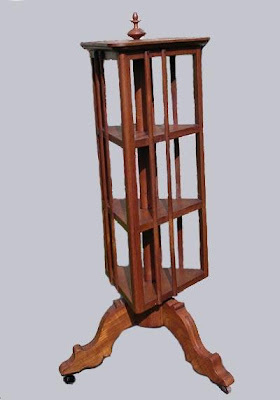 Victorian period walnut revolving bookcase. It has a triangular form on a tripod base. Dates to the 1870-1890 time period. The triangular top spins 360 degrees. Solid walnut. Nice turned finial on top. Original brown porcelain casters. Original iron brace on the underside of the legs.